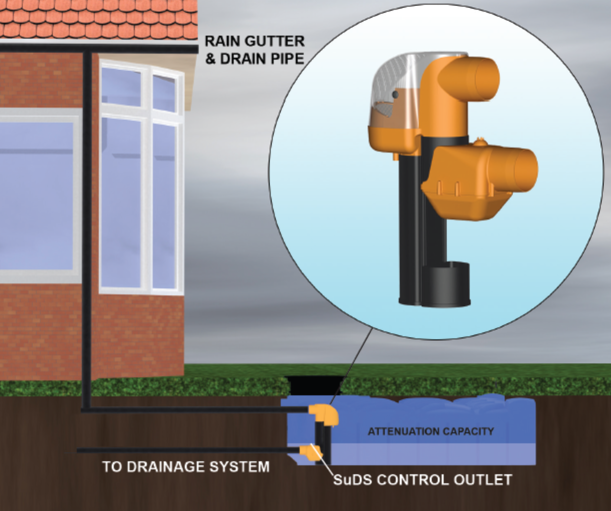 Rain Activ storm attenuation system manufactured by RainWater Harvesting Ltd controls the rate of storm water discharge from site as well as being able to utilise the rainwater for non potable use within your home and garden. Full specification service and planning authority recognised Micro Drainage™ calculations are supplied with each system. 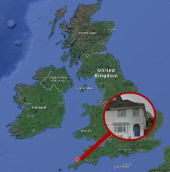 We provide calculations as this is a bespoke system. 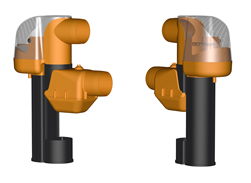 The Rain Activ Dual Direct Feed System gives you the ability to enjoy the benefits of rainwater harvesting in your home and garden whilst at the same time acting as part of your on site SuDS solution. The system includes the WRAS approved Backup in a Box mains water backup unit. The underground tanks come in a range of sizes from 1,500 litres to 15,000 litres. The bottom portion of the tank is used to store the required rainwater for use within the home and garden. The top portion of the tank is the attenuation capacity as specified by the Micro Drainage™ calculations that are generated for each situation. How do we work out the split? The first part is to calculate the attenuated volume required based on the information listed below along with the required discharge rate of the site. Once we have done this we then use a Tank Size Calculator to establish the amount of rainwater you would need to store to supply water to your home. This is then added onto the attenuated volume as specified by the Micro Drainage™ calculations. 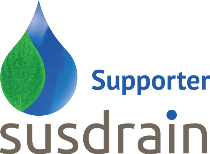 Industry leading, ultra low storm water discharge rates. Arrives to site fully assembled and ready to install. No moving or consumable parts, fully self-cleaning. How Does Rain Activ Work? Rain Activ utilises a simple to install, pre-assembled, shallow dig rainwater storage tank, along with a self cleaning filter and a controlled discharge valve. Rainwater from the roof is heavily filtered as it enters the tank, removing any particles larger than 1mm. Once the rainwater reaches a set point within the tank it is discharged at a controlled rate. Due to the quality of filtration involved, a very small orifice can be used without the risk of blockage. For this reason, the Rain Activ can provide industry-leading rates of discharge as low as 0.05l/s. Every system sold is bespoke, and calibrated to each site’s requirements. Our engineers use Micro Drainage™ hydraulic modelling software to ensure the system discharges at the desired peak rate during a storm event. As the system already contains various key components, such as the tank and high quality filtration, the addition of a submersible pump and management system turns the system into a full domestic rainwater harvesting system. Smaller developments (1-25 homes) where the rate of storm water is not great enough for effective use of vortex flow control. Sites with very low discharge rates stipulated by planning. The Rain Activ produces a much flatter discharge curve than other storm attenuation systems. This means the system can help reduce stress on the drainage network over a greater range of storm, rather than being calibrated to one specific event. Our design team calibrates every Rain Activ bespoke to site requirement; both the peak discharge rate and volume of attenuation. Our extensive hydraulic modelling, lab testing and field testing provides academically supported data in order to calibrate the system correctly. Potential water usage (if combining with Rainwater Harvesting). Using the data provided above, our experts use Micro Drainage™ hydraulic modelling software to test the system and provide documentation ready for immediate submission to planning authorities. Please call our sales team with the information above to allow us to specify the correct system on 01733 405 111. The F-line flat tank can be installed into much higher water tables than a standard round tank. If you don't know what your water table will be like in the winter, you're safer to install a flat tank. The F-Line tanks are flat and the installation depth is 60% less than other rainwater tanks. The excavation can be up to 70% less, meaning little earth excavation, easy handling and less cost for you! The small excavation pit is easily filled in and your garden will look just like it did before. What is a Direct Feed System? Once the rainwater is collected in the underground tank the pump will pump directly to the appliances within the house i.e toilets, washing machine and external taps. 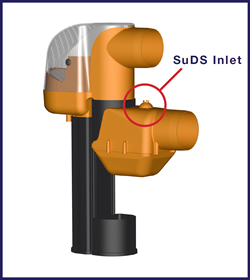 The pressure sensitive pump is automatically operated once the pressure drops within the pipe, for example when somebody flushes a toilet. The Rain Backup in a Box® [SD] for shallow dig tanks - the plug-and-play mains water backup for rainwater harvesting systems. When the rainwater runs out this simple controller will top up your tank to a minimum level with mains water - safely and economically. Another eco-innovation manufactured by Rainwater Harvesting Limited.